The LED light is designed to light up the bowl making it easier to use at night. Auto/O with the remote. 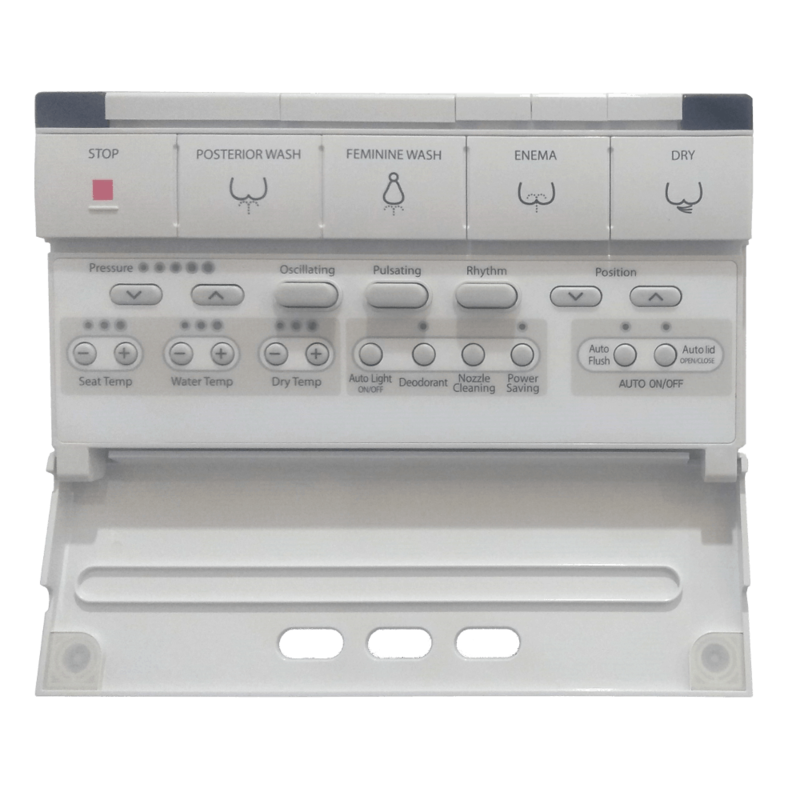 All Bidet functions are available by remote control and the light displays the current operation. A small flush of is 3L will be used if the seat is occupied for less than 25 seconds. A full flush of about 4.5L will be used when the seat is occupied for over 25 seconds. Dual auto flush is available by seat sensor after the user stands up. 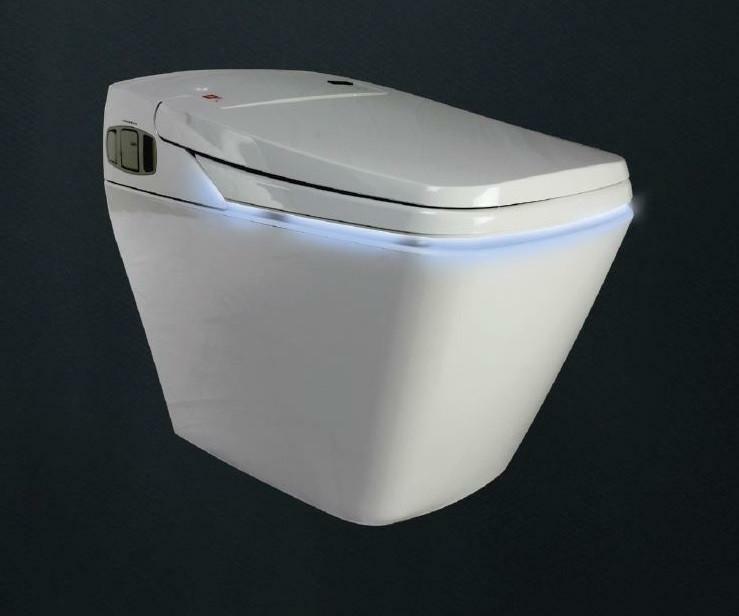 The seat sensor detects when you sit down on the seat to activate functions and allows the toilet to flush when you leave. The seat temperature is adjustable. An ergonomic elongated seat for comfort. No noise on interlayers. 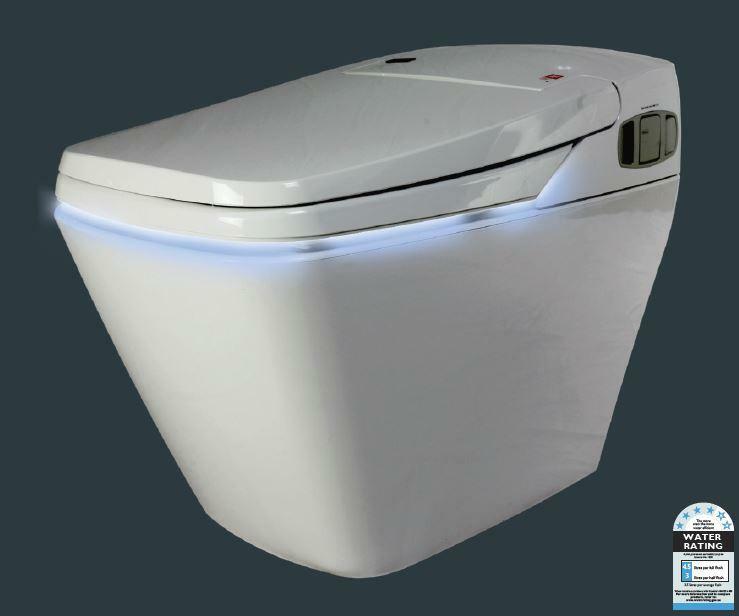 Cost effective against In-wall-hung toilet systems and much easier to perform maintenance. Air temperature is adjustable to your preference. Waste is flushed by the use of high pressure jet nozzles, known as Tornado flushing. This system, while extremely efficient uses only a small amount of water with its Siphon water jet technology.